Grab this cute Minecraft Creeper Anatomy Deluxe Vinyl Figure for ONLY $9.99 FREE SHIPPING at Microsoft! Great gift idea for that Minecraft Fan! Unlock the secrets of Minecraft's infamous Creeper. 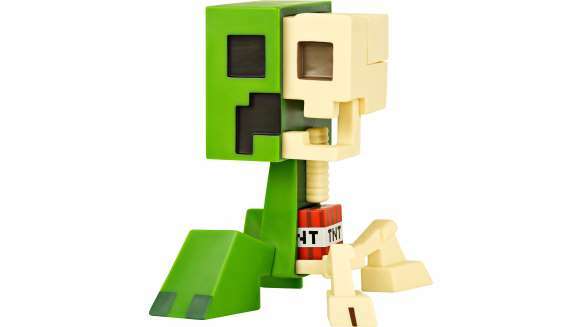 This 8-inch vinyl toy disassembles into 7 parts, giving you a detailed look at a Creeper's complex physiology. It's a must for any serious Minecraft explorer's collection.